Rhacophorus mmoltrechti is an endemic and protected species in Taiwan. 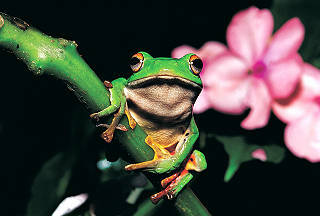 They are green tree frogs widespread from sea level to 2500m montane forests. 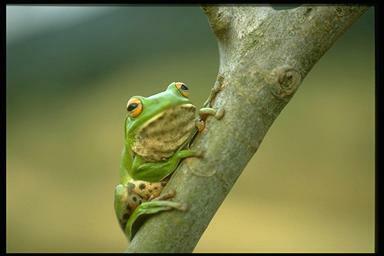 They breed in spring and summer in northern Taiwan, in summer and autumn in southern Taiwan. However, they breed throughout the year in some moist montane regions. Males call on trees, roots of grasses, depressions on the ground, or banks near still water. One female mating with multiple males (up to 4 males) has been observed in the field. 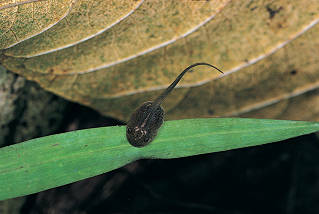 White foamy egg masses are usually found on ground, near roots of grasses, and under stones or mosses. Newly hatching larvae are washed by rains into the water nearby and develop there.